The rise of death metal’s all-time greatest musician, Chuck Schuldiner, came in the form of Death‘s first full-length, ‘Scream Bloody Gore’. To many, the 1987 album acted as the blueprint for death metal while setting the bar for speed, technicality and disturbing atmosphere. Housing Death cornerstones ‘Zombie Ritual’, ‘Evil Dead’, ‘Infernal Death’ and many more, ‘Scream Bloody Gore’ hits the mark again and again throughout the near hour-long debut. 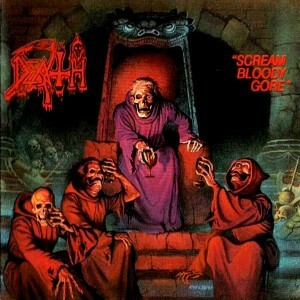 Schuldiner expresses an undeniable prominence of character on each ‘Scream Bloody Gore’ track, a trend which would continue for his entire career. 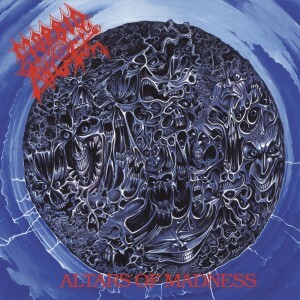 Morbid Angel‘s ‘Altars of Madness’ is one of the most celebrated death metal albums of all time, and in our opinion, is death metal’s greatest debut. From the death metal Mecca of Tampa, Florida, Morbid Angel swept the metal world in 1989 with a record that tested the barriers of heaviness. Showcasing a mass of monstrous riffs from Trey Azagthoth, phenomenal songwriting and frantic Jeff Hanneman-esque solos, ‘Altars of Madness’ redefined what it meant to be heavy while influencing an upcoming class of brutal death metal. 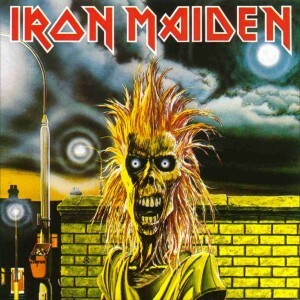 Iron Maiden didn’t release their first studio album until five years after the band’s initial formation, but once the self-titled record was unleashed in 1980, the Irons were official up! Bassist Steve Harris penned the majority of ‘Iron Maiden’, including staple tracks ‘Phantom of the Opera’ and the album’s title track — not to ignore vocalist Paul Di’Anno‘s contributions to ‘Remember Tomorrow’ and ‘Running Free’. U.S. audiences were treated to a little extra when ‘Iron Maiden’ was finally released overseas, including the Di’Anno / Harris / Dave Murray power hit ‘Sanctuary’. 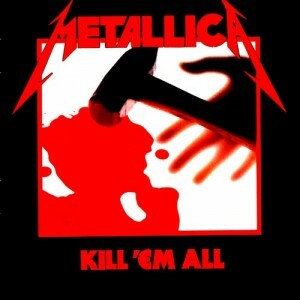 The masters of thrash metal, Metallica, introduced themselves to the world in 1983 with the landmark debut, ‘Kill ‘Em All’. Much like the record’s album art, ‘Kill ‘Em All’ hammers 10 classic tracks into the brain of the listener, boggling the senses with ‘Seek & Destroy’, ‘Whiplash’, ‘Jump in the Fire’, ‘Hit the Lights’ and many more. 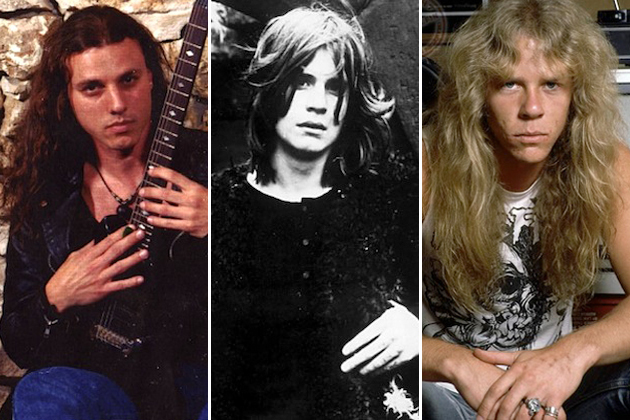 The team of James Hetfield, Lars Ulrich, Cliff Burton and Kirk Hammett are listed as the quartet who recorded ‘Kill ‘Em All’, although former member and current Megadeth frontman Dave Mustaine was given due credit for his various contributions. …And metal was born. 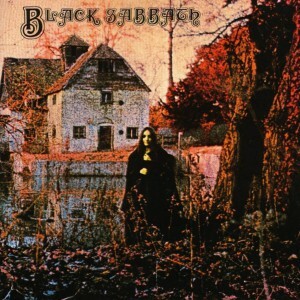 Black Sabbath‘s self-titled debut released in 1970 harnessed the heavy undertones of acts such as Deep Purple, Led Zeppelin and Blue Cheer and brought it to the forefront to create metal’s most important debut of all-time. Along with the immortal hits ‘N.I.B.’, ‘Evil Woman’ and ‘The Wizard’, Sabbath’s debut contains the eponymous masterpiece, ‘Black Sabbath’. No music since the classical and romantic eras had been able to capture the essence of pure evil like ‘Black Sabbath’ led by guitarist Tony Iommi and his use of the demonic diminished fifth chord. Ozzy Osbourne‘s haunting vocals radiate the feeling of panic and terror throughout the title track, setting the benchmark for all heavy music since.